Are Roller Reefing Mainsails Worth Having on a Cruising Yacht? Are Roller Reefing Mainsails Worth Having? Take a look at any modern cruising boat and the odds are it'll have a roller reefing system on the forestay. Some may have two; one for a lightweight genoa and another just astern of it for a working jib. If the boat is cutter rigged, then it's likely the staysail will be set on a roller furling gear too. Not so long ago, we cruisers were quite content with these roller furling gears on our headsails and simple slab reefing for our mainsails. Most spar makers offer roller reefing mainsails as an option to their standard masts and booms, and some are markedly more successful than others. With headsail roller reefing systems, it doesn't matter too much if you've been a bit sloppy rolling a reef in. Perhaps the sheet was a little slack and the sail was flapping around. OK, it won't look very pretty and the sail shape will be awful, but at least it's in - and you can pull it back out and start again. But not necessarily so with roller reefing mainsails, which are contained (and that's the problem) either within the mast or within the boom. At best, this is a quick and easy way - providing you get the procedure right - to reduce the area of the mainsail in a rising wind. But it can go wrong; and if it does with the sail jammed in the mast groove you won't be able to get it in, out, up, down or do anything much at all with it - short of a bosuns' chair and a sharp knife. Sails used with this system are flat cut, have little or no roach - or even a negative roach - and if there are any battens at all, they'll be vertical. Halyard tension is critical; too much and you'll have a job getting the first few turns in, and the boom has to be adjusted just right, so you'll need a rod kicker. If your sails are new or in good shape, then you've got a good chance of this system working at its best, but it your sails are past their first flush of youth, and maybe a little baggy then you could be in for an interesting time. And there's a penalty to be paid in additional weight aloft as a result of the all the hardware inside the mast. if the sail jams in the boom slot, it's still possible to ease the halyard and drop it. a sail jammed in the boom slot will be much easier to sort it out than one halfway up the mast. reefing the sail in the boom lowers the centre of gravity, unlike the in-mast system which leaves the weight of the sail aloft. For successful operation the angle between the boom and the mast is critical. 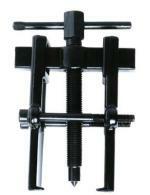 In some systems this is fixed by a rigid kicker, whilst others allow a degree of articulation and rely on a spring in the kicker to return the boom to its correct angle. 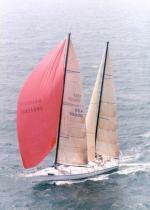 The double swivel arrangement found on headsail furlers is also incorporated in some in-boom systems, which flatten the main without reducing its area. 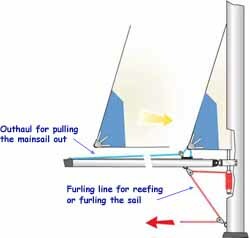 Mainsail roller furling/reefing systems? I just don't get it.